Last year, Donna’s Arctic Lace won the silver award in the same competition, and Spinning in the Old Way by Priscilla Gibson-Roberts won the bronze. In other words, Nomad Press knitting books won two of the three top prizes in the Crafts and Hobbies category of the competition sponsored by ForeWord Magazine, the periodical dedicated to independent publishing. We were pleased then, and we’re pleased now. The 2007 winners will be announced at BookExpo America in Los Angeles in June. Although Nomad is usually represented at BEA, this year I’ll be here, working to meet deadlines. Celebrating early and often. . . .
Congratulations! Although sales numbers are important, being recognized in this fashion is so fulfilling. Oh, that is wonderful!!!! Congratulations to you and Donna. Very exciting. I often say I work for hugs (especially when talking about teaching kids at the community center). This is sort of a hug. Well deserved stickers! Now if they only make the books sell like those Oprah book club stickers do. Hey! Love the title: “will work for stickers.” Very witty. Hope I don’t see you on the street corners offering to wash my car windows, though! Many congratulations. This is a great honor, but one that is greatly deserved and hard-won, I know, as a member of your blog tour team. I was finally able to get my hands on this book. It is one of the best books I have ever read! 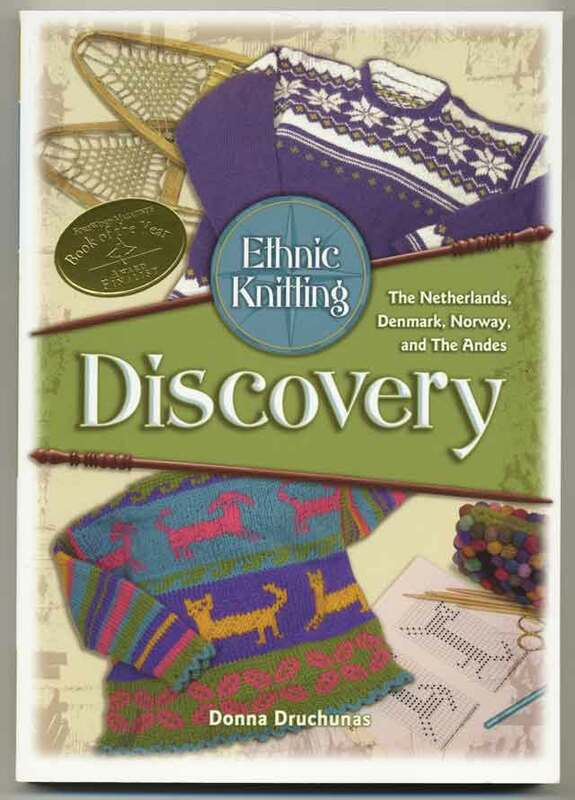 It definitely deserves a reserved spot in every knitter’s library!